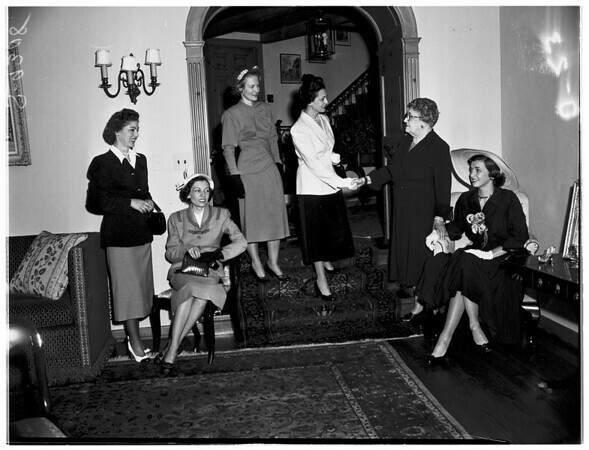 Supplementary material reads: "Photo assignment for Friday, May 11 at 11 a.m. Pls go to 602 South Hudson, home of Mrs. Waller Taylor, get shots of women planning tea party. Candid, three and six cols. Contacts Monday. Thanks, Carter Ludlow".